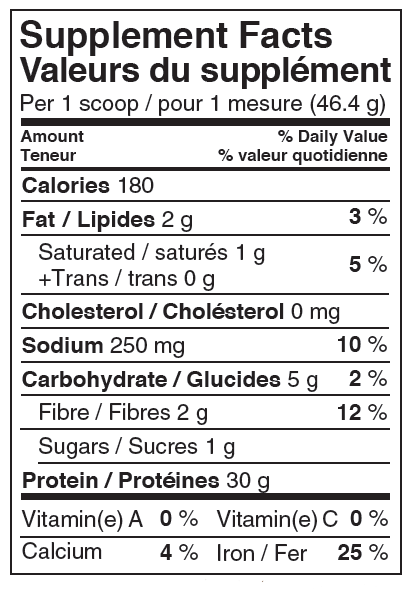 Non-Medicinal Ingredients: Organic Fair Trade Cocoa, Organic Chocolate and Vanilla Flavours, Apple Pectin, Xanthan Gum, Organic Stevia Leaf Extract, Sea Salt. Hate it. I bought this for the chocolate flavour and it tastes like sugar, no fragrance of actual chocolate. After a workout, it's like drinking viscous sugar water---horrible. I'd rather buy the unflavoured sprouted protein powder and mix it with a spoonful of Camino hot chocolate powder. Love this product! The taste is amazing and I find it very easy to digest. Highly recommended to all athletes out there! Excellent product with good quality ingredients from raw. Good taste, highly recommended. 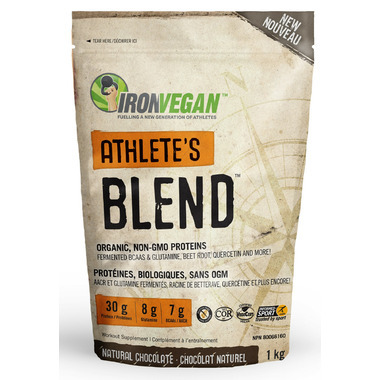 I have tried a few differents protein powders and this is by far the one I enjoyed the most! I needed one that was sugar free for my yeast issues and that had enough glutamine to help heal my gut lining and help my muscles when I workout! It does not taste chalky when mixed with water or almond/coco milk! I love the intense chocolate taste!! !